In a first for ROSCon, we are sold out! Due to the capacity limit of the venue, we will not be able to accommodate any more attendees. We will not be offering on-site registration. If you’d like to discuss it online there is a Slack Channel which we will try to monitor at the event. If you don’t have a rosorg Slack account you can register here And if you’re using social media please use #ROSCon2015. We’re able to offer this benefit to the community thanks to generous sponsorship from our friends at Qualcomm. So if you can’t join us in person in Hamburg, you can follow along online. We will also be recording the presentations and posting them afterward, as we’ve always done. ROSCon 2015 is a chance for ROS developers of all levels, beginner to expert, to spend an extraordinary two days learning from and networking with the ROS community. Get tips and tricks from experts and meet and share ideas with fellow developers from around the globe. ROSCon is a developers conference, in the model of PyCon and BoostCon. Following the success of the inaugural ROSCon in St. Paul, Minnesota, the second version in Stuttgart, Germany, last years event in Chicago, Illinois, this year’s ROSCon will be held in Hamburg, Germany. Similar to previous years, the two-day program will comprise technical talks and tutorials that will introduce you to new tools and libraries, as well as teach you more about the ones you already know. The bulk of the program will be 30-40 minute presentations (some may be longer or shorter). To submit a proposal please read the Call for Proposals. If you are looking for information on past ROSCons see their separate websites including past programs, slides and videos of the presentations are available from their programs: ROSCon 2012 Program, ROSCon 2013 Program, and ROSCon 2014 Program. As more information becomes available this years program will be filled out here. Important dates to keep in mind for ROSCon 2015. 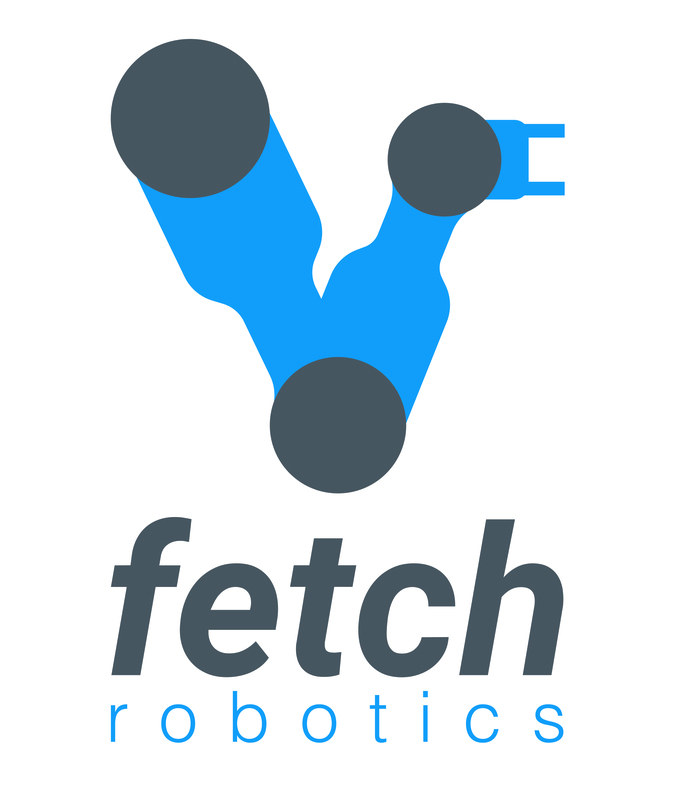 We couldn’t put on ROSCon without the generous support of our sponsors. If you’d like to know more about them, please find them at the event. ROSCon will be held at the University of Hamburg. 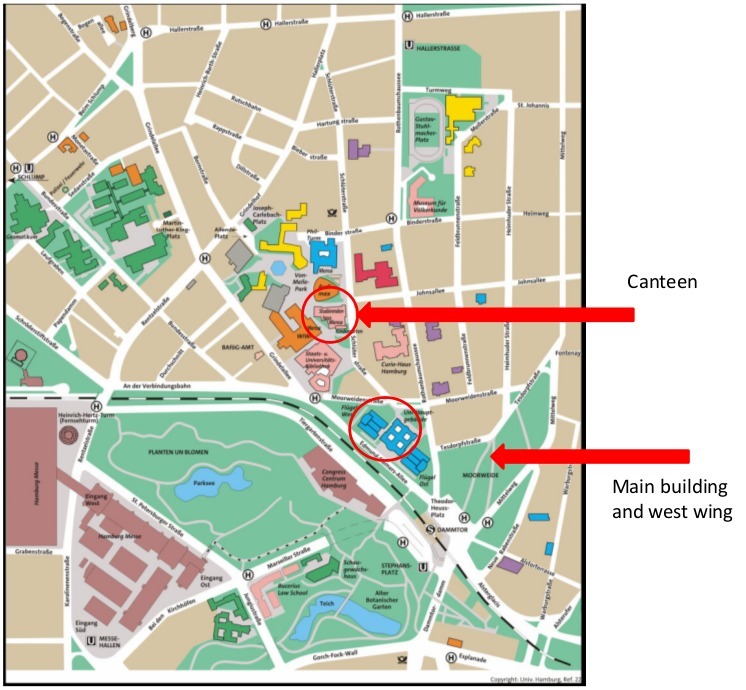 The buildings for the main event and lunch can be found in the map below. There are many options near the venue where you might stay. Here are links to a few near the venue. If you require an invitation from the conference organizers to obtain a visa to enter Germany, please email your request to the organizing committee. Please include your full name and mailing address (for inclusion in the letter; we’ll email you the signed letter). The Program for ROSCon 2015 is now available! ROSCon 2015 will be a single track conference. Following review and discussion by the Program Committee, the 21 presentations listed below were accepted from among 70 submissions (30% acceptance rate). There will also be lightning talks and Birds-Of-a-Feather sessions, as well as many opportunities to informally talk with other community members. 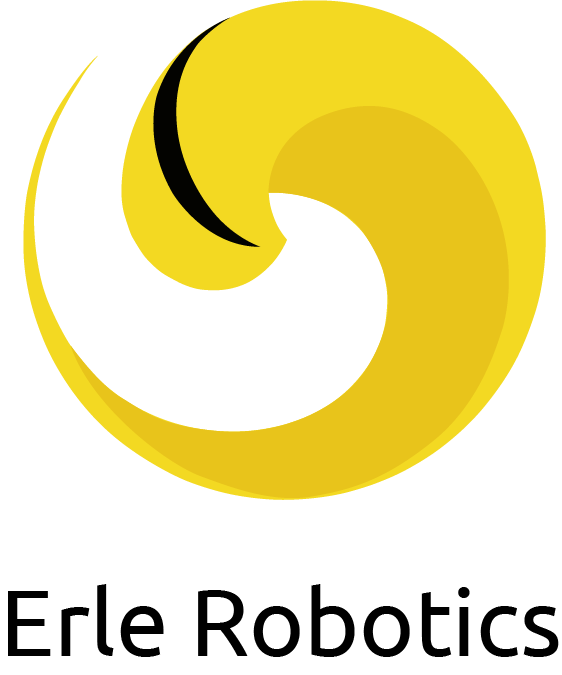 Presentations and tutorials on all topics related to ROS are invited. 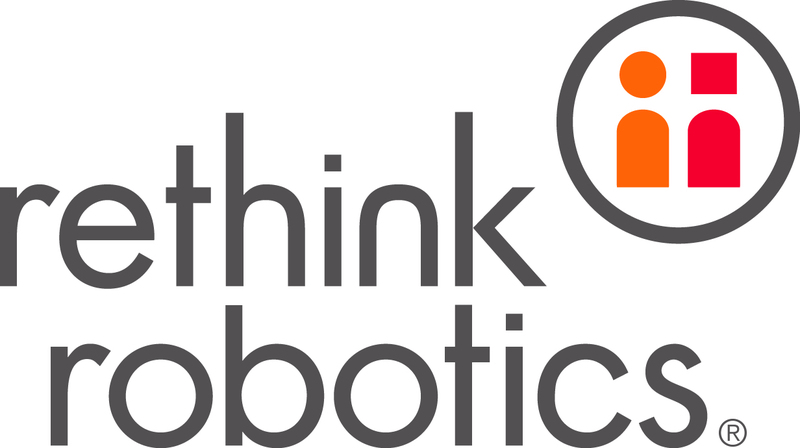 Examples include introducing attendees to a ROS package or library, exploring how to use tools, manipulating sensor data, and applications for robots. We cannot offer sessions that are not proposed! If there is a topic on which you would like to present, please propose it. If you have an idea for an important topic that you do not want to present yourself, please post it to ros-users@lists.ros.org. To ensure a safe environment for for everybody we expect all participants to follow the conference code of conduct.